You’re a successful career professional or business owner but now you find that you’re no longer enjoying your work. How did this happen? You wonder if it is you and question if you are having a mid-life crisis? You ask yourself if you are working in the right company? Or question whether you have built the wrong business; created a monster. In fact, you feel stuck, overwhelmed and exhausted. You know that something needs to change and you want support in changing it. 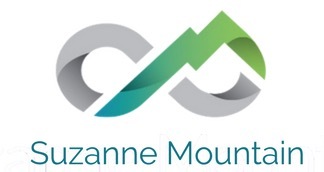 Hi, I’m Suzanne. I’ve been there too, and I’ve come out of the other side. I’m a Coach and Consultant, and I’m on a mission to support stressed and overwhelmed professionals and business owners. I know what it’s like to work hard and feel exhausted and question whether it is worthwhile. I’ve had that you sinking feeling that whilst my life looks fab on paper, it is just not making me happy, in fact, it was making me ill! Yes, I’ve been where you are, felt stuck, trapped and unhappy! Yet I refused to settle or believe that my best years are over just because I was a forty-or-fifty-something. I wanted to get out there and make this time count and in order to do that, I had to get unstuck, make some big decisions and take action. I had to learn new skills and make technology work for me. I had to find to learn to network and sell myself and most importantly I had to get back in touch with what I really wanted to do! My philosophy in life is simple, that this is not a dress rehearsal! This is it your one chance and we owe it to ourselves to make the best of it. Success means a different thing to each person I speak with, but what is important is that you find out what it really means to you and create a life that works for you. The struggle for clarity and to achieve work-life balance is real for many of us. We find ourselves reassessing and reflecting on our lives We are faced with making life-changing decisions (perhaps around our business, career change, redundancy, early retirement, kids leaving home, and the responsibility of ageing parents) and that’s also part of why we can sometimes get overwhelmed with all we have to cope with. I, for one, want to live my life to the full and I encourage you to do the same! This is why I offer one to one mindset coaching and business mentoring both face to face in Marlow, Buckinghamshire, England and online. Plus I also run online programmes for those who don’t live close enough to meet face to face. Then I was lucky enough to be offered my redundancy. I knew instinctively it was the right thing for me and so I decided to grab the opportunity with both hands. This was one of those life-changing decisions which forced me to reassess my life, and where it was heading. It was the kick in the pants I needed. It stopped me being a wimp and pushed me to get on with an exciting new chapter in my life. It wasn’t all plain sailing. I was scared and excited! Most people would be. But, I felt compelled to take action and I didn’t want my fear to get in the way of my mission. 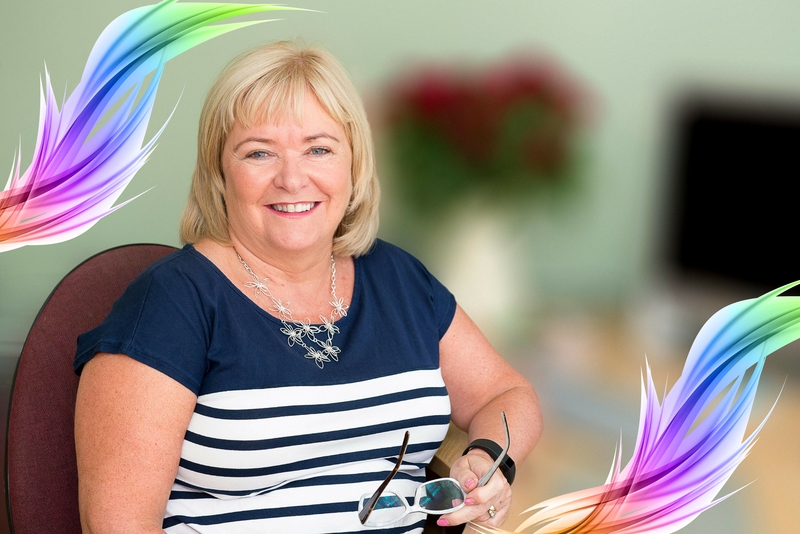 I was passionate about starting my business because I knew it would enable me to help even more people – this time without the restrictions of working for a large organisation. I could continue making an impact on people’s lives, and do what I’ve loved to do for more than 25 years now. No, it hasn’t been easy. Yes, I’ve probably worked harder during this time than at any other in my career. And believe me, it’s been a huge learning curve. I have been where you are. I know how stressful it can be to work in a fast-paced environment and to be under increasing demands in both your personal and home life. I know what it is like to feel deep down that you have so much more to give but feel frightened to make the next move for so many reasons. I have a deep understanding of the challenges you face, be it with the people or the workload volume you’re dealing with or your lack of knowhow around how to grow your business. As a Chartered Fellow of the Institute of Personnel & Development (CIPD) with a 25-year track record in HR, qualifications in Coaching & Behavioural Change (Henley Business School/Reading University) and change management, I am not the finished article by any means, I am still developing myself. And this means I can share with you my learnings and understand how it is for you too. During 2017/18 I have studied with Tara Mohr, Coach and Author of ‘Playing Big, A Practical Guide for Brilliant Women like you’. I’m proud to say that I’ve passed her rigorous assessment process and can announce that I have completed the ‘Tara Mohr Playing Big Facilitators Training’ allowing me to teach and share her powerful tools for developing women. I can support and help you get unstuck, guide you through those curveballs, help you build/transform your career, start a business that works for you and your family, and create a life that you’re truly passionate about – just like I’ve done for myself. After a long corporate HR career leading organisational change and developing talented individuals for the likes of Manpower, Microsoft, Whitbread, Thames Water and EMI records, and holding such positions as Head of Talent and Head of People & Organisational Performance, for the second time in my career I felt I was done with working for large organisations. Having worked across different geographies and time zones and managed large teams and I knew that something had to change, that this was no longer the direction I wanted my life to go in. I was tired of corporate life, the politics, the endless meetings and conference calls where it seemed that nothing was ever decided. I felt exhausted by the long hours, the emails arriving at all times of the day and night, the evening functions that I had to attend when all I wanted was to be at home. I needed to change my life and I wanted to create a meaningful business on my own terms. Today, I get to help amazing people, like you, to find their passion and purpose, and pursue a new and fulfilling path. I love my work as a coach, and every day I’m thankful for the opportunities I have to make a tangible difference in my clients’ lives. And I’m not gonna lie, being free from the restraints of corporate life and being completely in control of my own path feels pretty awesome too! 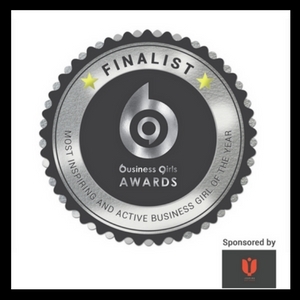 In fact in 2018, I was proud to be a finalist in the Business Girls Network Awards in the category of ‘Most Inspiring & Active Business Girl’! And I’ve just found out that I have been nominated as Coach/Mentor of the year at the Sue Ryder Southern Region Awards for 2019. Plus I am a finalist in The Business Girl Network Annual Awards in 2 categories: ‘Business Girl of the Year’ and ‘Most Inspiring and Active Business Girl’. Are you ready to sort this out? I hope so! I would love to hear from you! To learn more about how I can help you find a new and fulfilling work life, check out my one to one services Page or complete the contact box below.